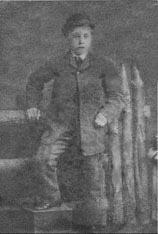 Samuel ROGERS died on 22nd. May 1895 at Longwell Green. His age at death was 28. He was a carter at the lime works. It is thought that he was accidentally killed by a horse falling on top of him. 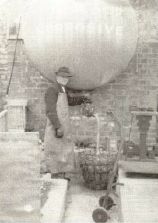 The man in the picture is Mr Septimus Price who worked at Albert Mill, Keynsham. 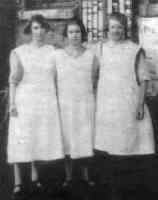 He was one of a large family, of Welsh extraction, who had lived and worked in the Steel Mills for several generations. We are finding additional information and documents that relate to our families, which we hope to add to this section of the site over time. They are items such as: Land tax documents, which often list owners and occupiers; Settlement Certificates; Overseers of the Poor Accounts; Road Surveyors Accounts; Parish Relief records. We're also learning about our ancestors' work, which for us involves the local copper and brass industries. 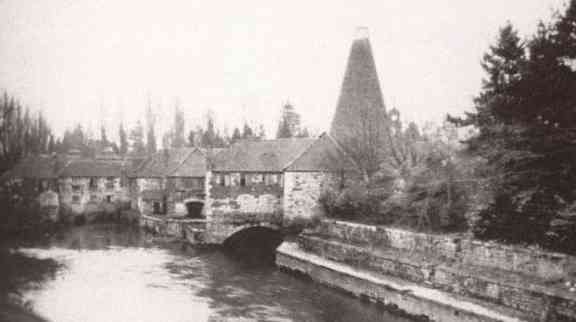 Avon Mill, the brass mill at Keynsham, in 1928. 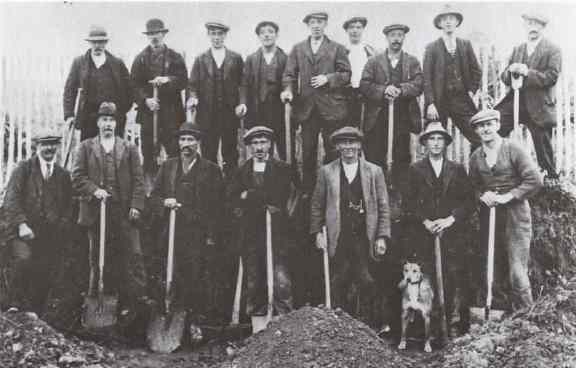 According to "Keynsham in old picture postcards"
"Here we see a group of men working to widen Burnet Lane (now Wellsway), in 1923." NEWMAN, TRENGROVE, HATCHER, GREENLAND, OLLIS, NEWMAN, WILLIAMS, CARTER and MACEY. J. BEES, VAILES, LOWMAN, WILLIAMS, GLOVER, ALWARD and F. COLLINS." This search is powered by an outside free search engine. but it provides a very thorough, useful, search of our site.